Biography: In 2010, Life in the Word Church began with the focus of evangelistic outreaches and church planting. Milton and Celestine faced the challenge of reaching the lost in an area predominantly known for witchcraft, alcoholism, thievery and poverty. Through offering discipleship training, Milton and Celestine have seen their ministry and church expand. They are able to send ministry teams to the surrounding areas. 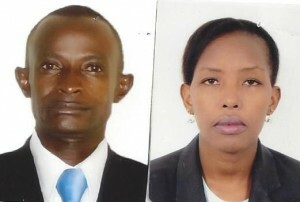 They have already experienced the fulfillment of their vision by recently establishing another church branch in eastern Uganda. Strengths: Milton describes his strength as teaching and administration. Milton and Celestine are passionate in seeing others grow in their giftings.